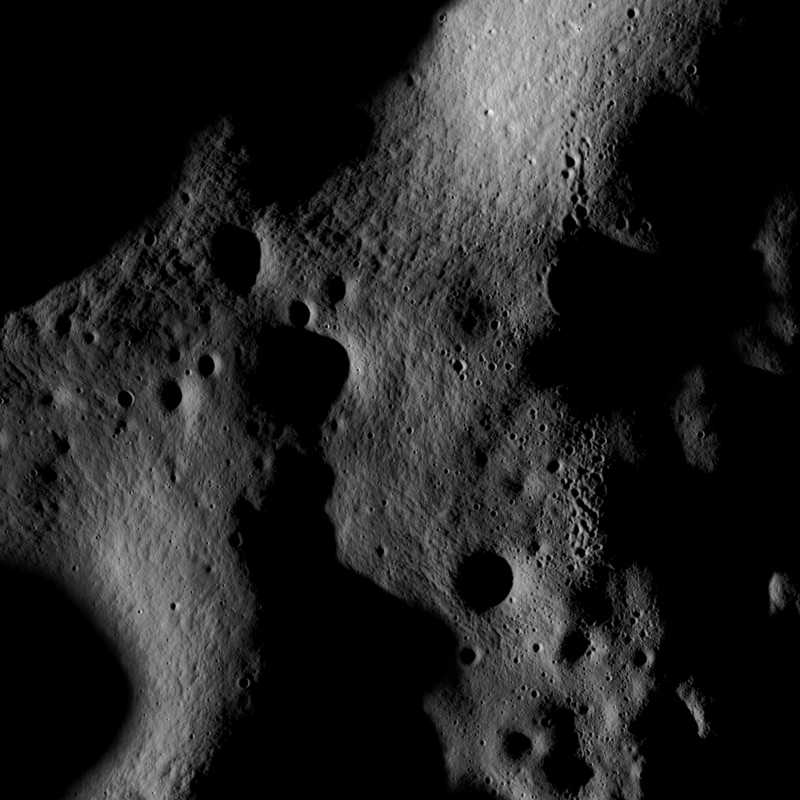 Hummocks and blocks on the ejecta blanket of Tsiolkovskiy crater. 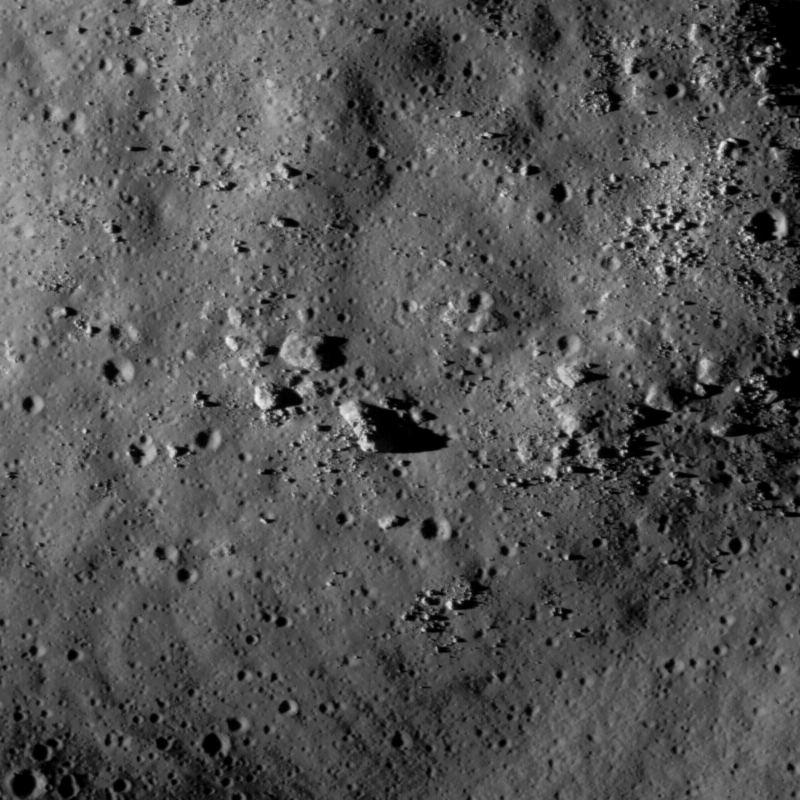 Image width is 830 meters [NASA/GSFC/Arizona State University]. 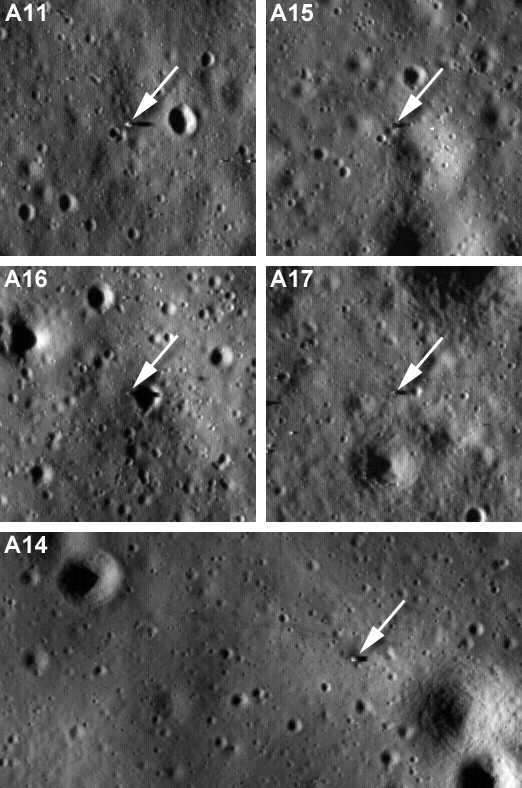 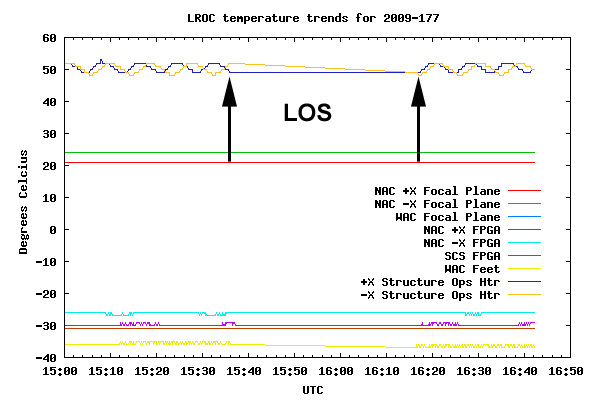 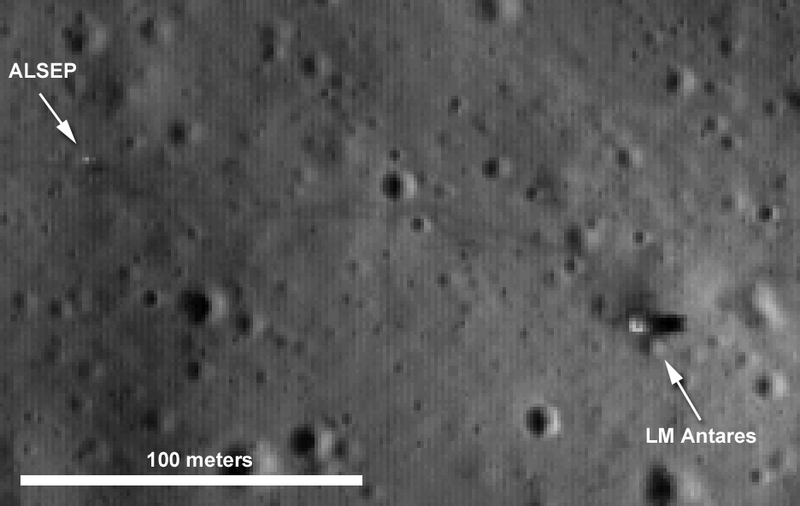 Once again the Goddard LRO Ops Team guided the spacecraft through a flawless orbit adjustment burn - we are now in a nearly circular 200 km (124 mile) orbit about the Moon. 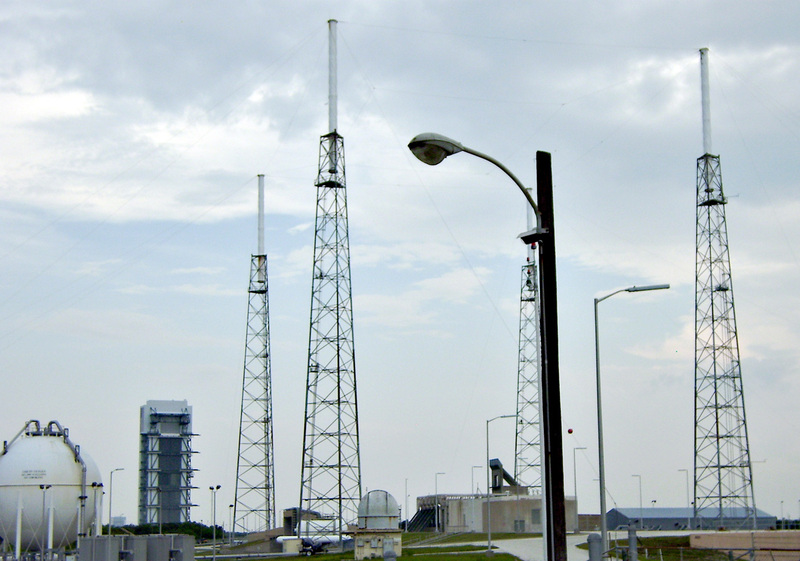 LRO Atlas V on the Pad! 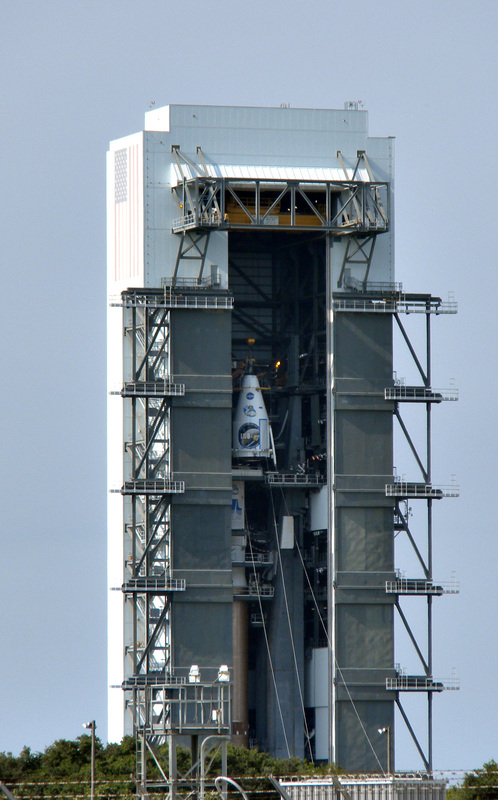 LRO Atlas V on the Pad [Photo Mark Robinson]! 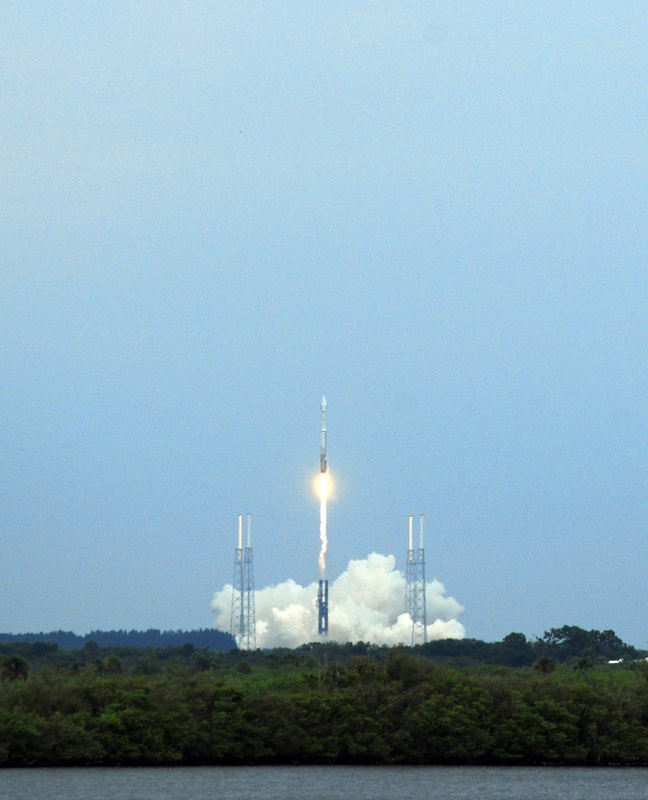 LRO's empty launch pad beckons [Photo Mark Robinson]. 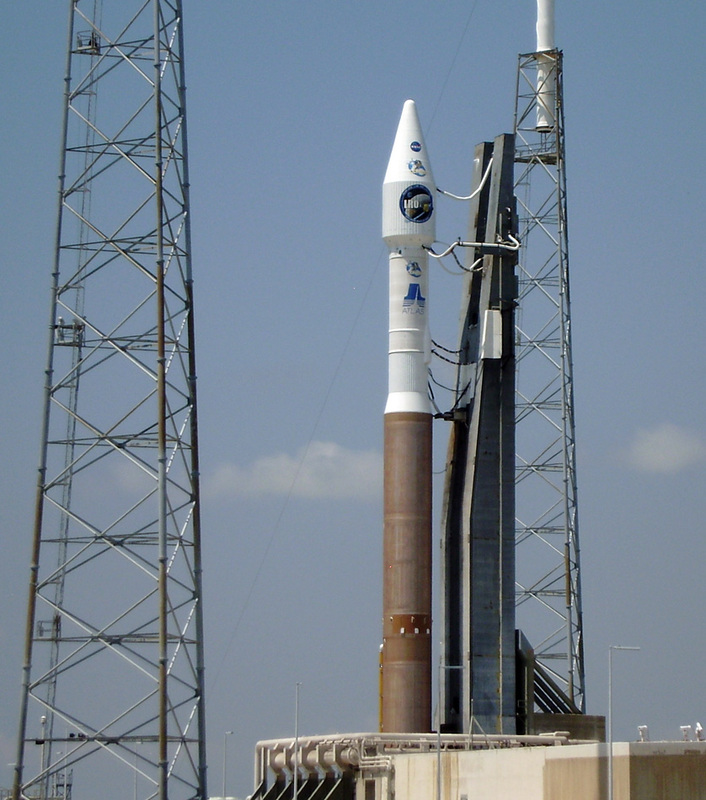 LRO being hoisted to the top of its Atlas V rocket.